Small Business Loyalty Programs – Are They Right For You? Small Business Loyalty programs have long been hailed as one of the best ways to build brand loyalty and keep the customers coming back for more. Like any other marketing strategy though, these frequent shopper platforms aren’t right for every small business. While a business selling a product or offering a service on a frequent basis to the same customer may find this type of program beneficial, others who may only receive repeat patronage on a yearly basis such as a chimney sweep may find this approach unhelpful and costly. 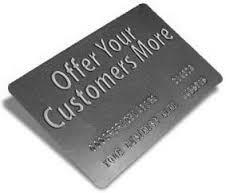 If you are on the fence, first determine if a rewards program is a right fit for your individual business plan. If so, begin devising a clear path for success. Does it make sense for you? – Not every business will benefit from a rewards program. Weighing the cost of running the program to proven sales figures can be difficult, to say the least. When deciding if this strategy is right for you, consider who your target audience would be for the program. Also, contemplate how such a program would change their habits. In which ways can you use a loyalty program to increase their spending? Any frequent shopper program should always have the strengthening of brand loyalty as their ultimate end-game. How to sign them up – If you are a retail store you may be tempted to have customers sign-up at the store. Don’t! This can lead to long checkout lines and customer frustration. While paper forms can be easily handled by services that visit homes, retailers and restaurateurs are better off having an online setup that customers can complete at their leisure. What benefits to offer – Providing the right benefits to your customers can mean the difference between success and failure. Often a continuous stream of discounts on goods or services can create less appeal as the program progresses. Consider offering frequent reward points if you have patrons that visit frequently such as on a weekly or bi-weekly basis. Those in the home repair industry may benefit from offering programs which provide add-on services or additional warranties. No matter your brand management strategy, Grand Marketing Solutions can help you achieve your goals. From social marketing campaigns to print materials, we can create a polished platform for your business to grow on.